With decades of unprecedented economic growth, China is now entering a new era of economic, social and political development, impacted by its new position as the world’s second largest economy. In this decade China is set to become the world’s largest economy, influencing the international affairs of all countries – including yours. In quest of making the world as a better living place, China sees the needs of building long term and long lasting relationship has implemented various initiatives to cement social and economics ties between nations. Below are some of the initiatives China has done to bring better connection to Continents, Countries and Communities. <="" p=""> In 2013, China released a new action plan outlining key details of Beijing’s “One Belt, One Road” initiative. 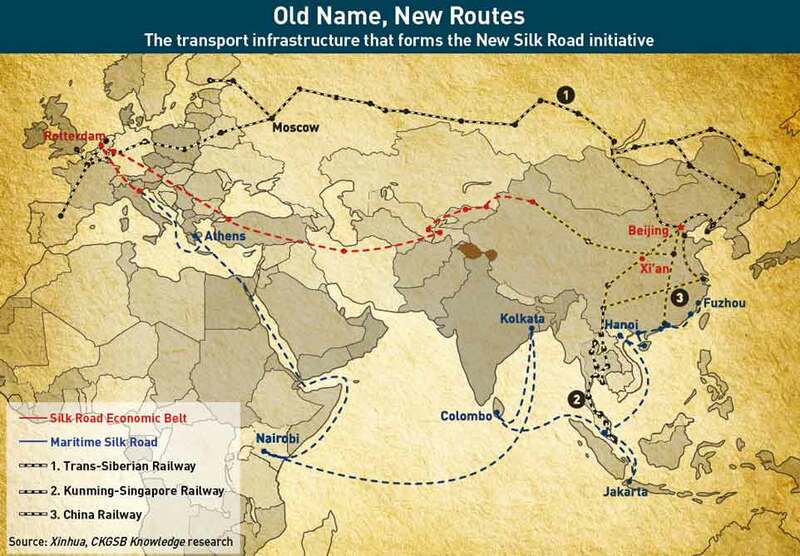 The centuries old name of silk road is now transforms into the New Silk Road Economic Belt, which will link China with Europe through Central and Western Asia, and the 21st Century Maritime Silk Road, which will connect China with Southeast Asian countries, Africa and Europe. Chinese president Xi Jinping has made the program a centerpiece of both his foreign policy and domestic economic strategy. Initially billed as a network of regional infrastructure projects, this latest release indicates that the scope of the “Belt and Road” initiative has continued to expand and will now include promotion of enhanced policy coordination across the Asian-Europe continents, financial integration, trade liberalization, and people-to-people connectivity. China’s efforts to implement this initiative will likely have an important effect on the region’s economic architecture—patterns of regional trade, investment, infrastructure development. The Initiative is an extension of China’s ‘go out’ and ‘go west’ policies and represents a move by the Government to be more targeted, strategic and focused in its future development. The Initiative has given major priority and boast to infrastructure. Plans are already in place to build railway networks, port facilities, airports, highways and electronic communication networks to guarantee smoother and more efficient transportation of goods and people, from Southeast Asia to Western Europe. Currently, there are 77 economic and trade co-operation zones in 30 countries sit along the Belt and Road including within Russia, Hungary, Romania, Laos, Thailand and Indonesia and negotiations are underway with these nations to kick-start the connections. The Kunming–Singapore Railway is now under planning and construction, that would connect China, Singapore and all the countries of mainland Southeast Asia as one of the Trans Asian Railways that will eventually connect with countries in Europe. Construction is set to begin before the end of the year on the first phase of a planned railway connecting Yunnan’s provincial capital Kunming to Singapore, reports People’s Daily. 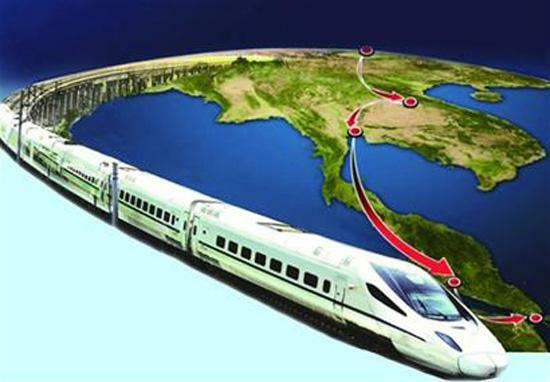 This stretch will run through Thailand, connecting Bangkok to the north of Thailand, and will eventually link up with the long-anticipated Trans-Asian Railway, which was first conceived by British and French colonialists to connect China with all of Southeast Asia’s mainland countries. If all goes to schedule, the first Thai section of track will open by the end of 2017. To overcome the financing obstacles and to support these major plans, China has been actively promoting the establishment of the Asian Infrastructure Investment Bank (AIIB), The BRICS New Development Bank and the Silk Road Fund. 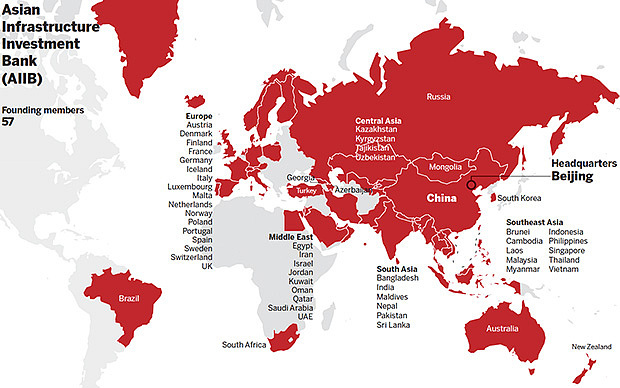 The creation of the AIIB represents one of the first eps of "The Initiatives" covering five continents, including Asia, Oceania, Europe, Latin America and Africa with 57 nations, including Australia, Brazil, Germany, Russia and United Kingdom have signed up. The Asian Infrastructure Investment Bank can be construed as a natural inter-national extension of the infrastructure-driven economic development framework that has sustained the rapid economic growth of China since the adoption of the Chinese economic reform under chairman Deng Xiaoping. It stems from the notion that long-term economic growth can only be achieved through massive, systematic, and broad-based investments in infrastructure assets among founding member countries – in contrast with the more short-term "export-driven" and "domestic consumption" development models favored by mainstream Neoclassical economists and pursued inconsiderately by many developing countries in the 1990s and the first decade of the 21st century with generally disappointing results. Below infographic revealed of what you should know about AIIB. The Confucius Institute is one of the major institutes that aim to help people across the world learn more about Chinese culture, language and to bridge the language barrier. The Institute has been developing fast over the past few decades and continue to grow in number in particular Africa. More than 350 Confucius Institutes have been established worldwide under the Chinese Ministry of Education to connect international communities. In latest development, President Obama announced an initiative to quadruple the number of US students learning Chinese in public schools by 2020. Currently, there’s about 200,000 students learning Mandarin Chinese in U.S. public schools and the president wants to increase that number to 1 million by the end of the decade, the Washington Examiner reports. The move is aimed at expanding connections between America and China to boost tourism and trade, and was announced by the president during a visit by the People’s Republic of China President Xi last week. Study in China programs also gaining solid ground and popularity internationally. Currently there were more than 400,000 international students from came from 203 countries and regions to study in China. China is no stranger to international students. Foreign students who study in China are no longer confined just to language and culture subjects when compared last two decades ago. International students now choose medicine, engineering and business degree as the main core study subject when enroll with Chinese universities. Coupled with the introduction of English-medium degrees courses offered by selective universities in China, the growth of the foreign students from non-traditional countries like UK, Australia and Africa are growing rapidly each year. The government is committed to provide increased diversity in educational programs and establish world class educational institutions in China. They are seeking to cooperate with partners overseas. In 2015, almost 1,000 of these international cooperation programs can be found in the Chinese higher education landscape. Unlike western countries like Australia, UK and US, international students who studied in China paid almost the same amount of tuition fees compared with local students. China government has been heavily subsidized the tuition fees to attract more international students to study in China. In addition to the existing scholarship schemes, China also plans to set up a new scheme of scholarship designed exclusively for students coming to study in the country from nations involved in Beijing's initiatives to build a Silk Road Economic Belt and 21st Century Maritime Silk Road. Economic factors and job opportunities in China play a key role in attracting international students. China is the world's second largest economy and is predicted to overtake the USA within a decade. Global companies looking to grow their business in China and Chinese companies looking to venture into international markets are all looking for employees who understand the China business environment, conventions and language. The Expat Explorer Survey conducted by HSBC in 2013 ranked China as the #2 destination in the world for expat satisfaction with their economic situation. 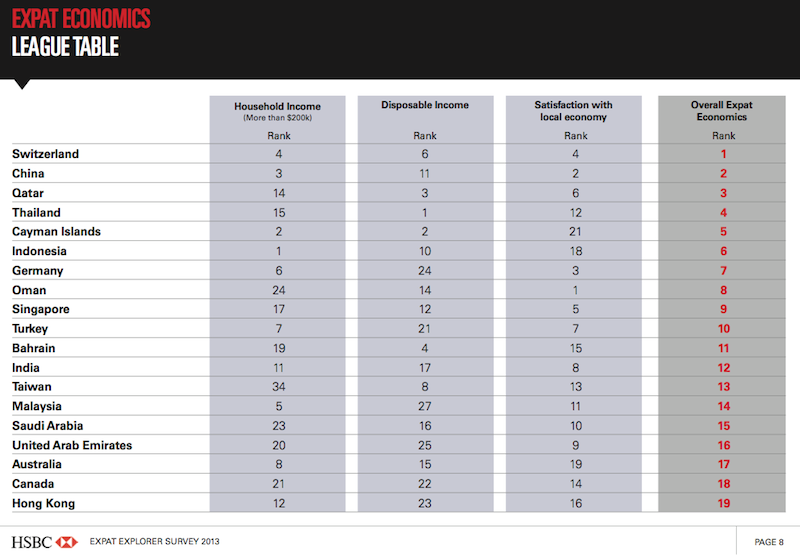 Ranking highly in all criteria including household income, disposable income and satisfaction with the local economy, China outperforms other leading economies in the West, BRIC and MINT nations. With the implementation of the One Belt and One Road plan, a further increase in the number of students from countries involved in the plan can be expected.